The women’s professional peloton begins its European campaign tomorrow with the 10th edition of Omloop Het Nieuwsblad. Despite the absence of Marianne Vos, an all-star peloton will take to the roads of Flanders, Belgium, to contest the first of the Classics. Run two hours ahead of the men’s race, the 120.5-kilometre course will pass over eight climbs and six cobbled sectors. Significantly different from the men’s course, the two routes converge 35km from the finish for the ascent of the Molenberg, the final climb. A strong contingent of British riders will take the start in Ghent, led by Lizzie Armitstead (Boels-Dolmans). Armitstead finished third last year and has already proved her form in 2015, winning two stages and the general classification at the Ladies Tour of Qatar. Wiggle-Honda’s Dani King starts her first race since breaking a number of ribs in a training accident last autumn, and the race also sees the debut of Matrix Fitness. The British team moved from national to UCI level this year. Experienced Olympian Lucy Martin will lead a team containing five compatriots. Garner’s Liv-Plantur team now start the race with only seven riders, rather than the permitted eight. Whilst her withdrawal may limit tactical options for the team, they were always likely to be riding in support of last year’s winner, Amy Pieters. Daughter of former professional Peter Pieters, the 23-year-old Dutch woman won the 2014 race from a three-woman breakaway, beating Emma Johansson (Orica-AIS) and Armitstead. Flanders resident Johansson is one of the most consistent riders in the peloton and has won this race twice, as well as finishing on the podium on two other occasions. 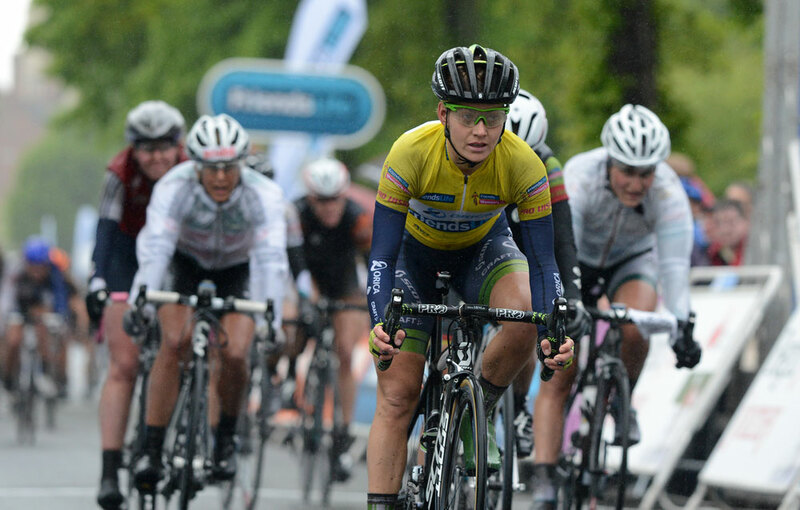 Annemeik van Vleuten makes her debut for a very experienced Bigla Pro Cycling after a strong winter. A former winner of the Tour of Flanders, these roads will hold no fears for the former Dutch road champion and she could make an impact. As well as King, the Wiggle-Honda team has options for tomorrow, with both Elisa Longo-Borghini and Belgian road champion Jolien d’Hoore. The latter raced at the Track World Championships last week and is confident of her road form having finished sixth in Qatar. Winner of the 2013 race, Australian Tiffany Cromwell will be part of a strong Velocio-SRAM team and Italian champion, Elena Cecchini will hope to shine on her debut with Lotto-Soudal Ladies. The race will not be live on television, though as part of their commitment to women’s cycling, organisers Flanders Classics provide a 26-minute highlights package, though whether you will find it anywhere than on the internet is sadly doubtful.